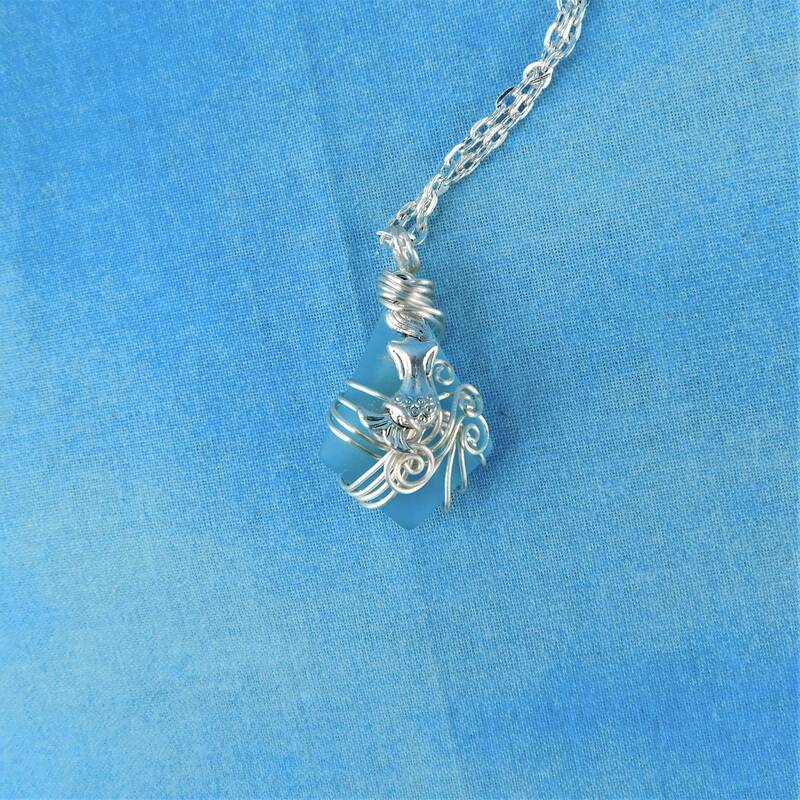 A tiny mermaid splashes among waves of wire. 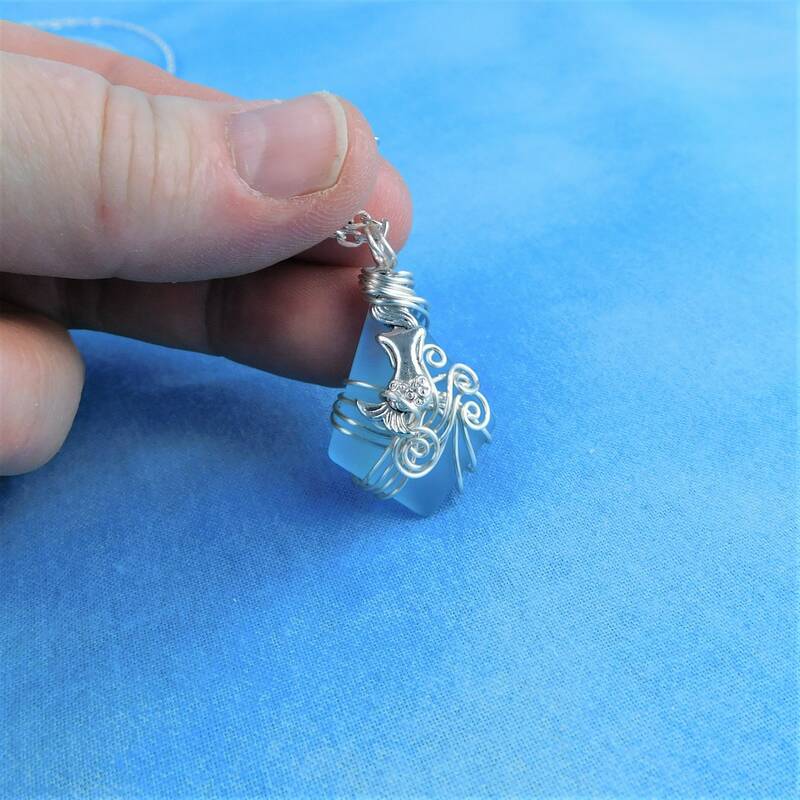 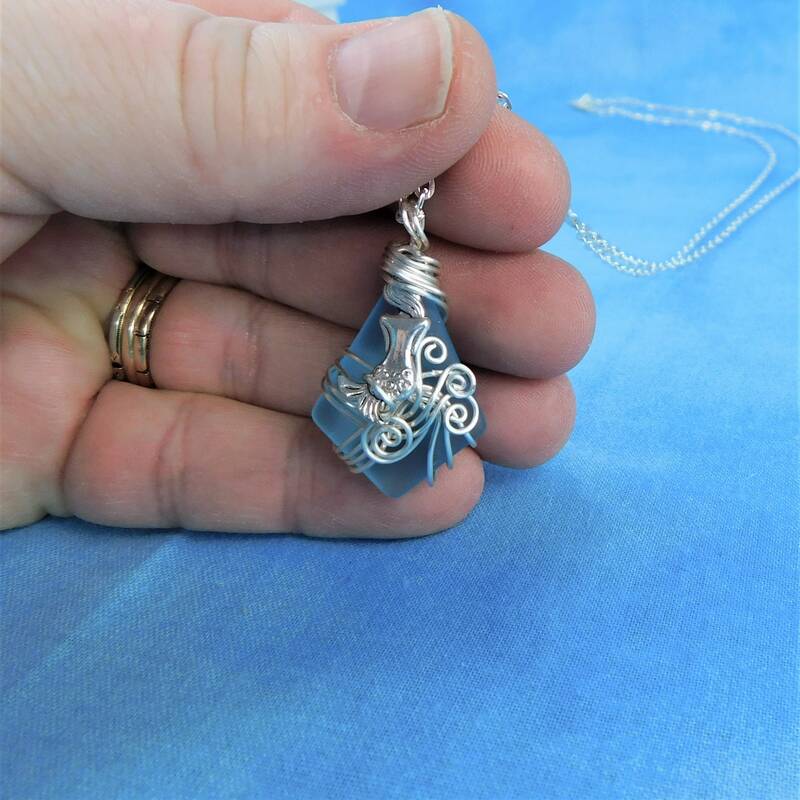 The magical scene is set against blue diamond shaped sea glass, created with only two strands of wire, pliers and patience. 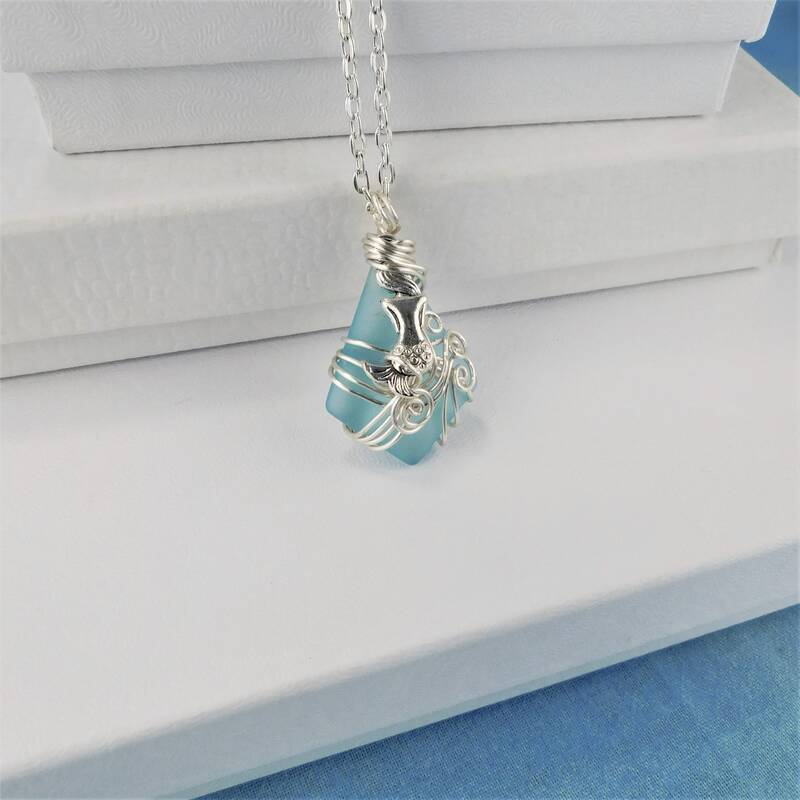 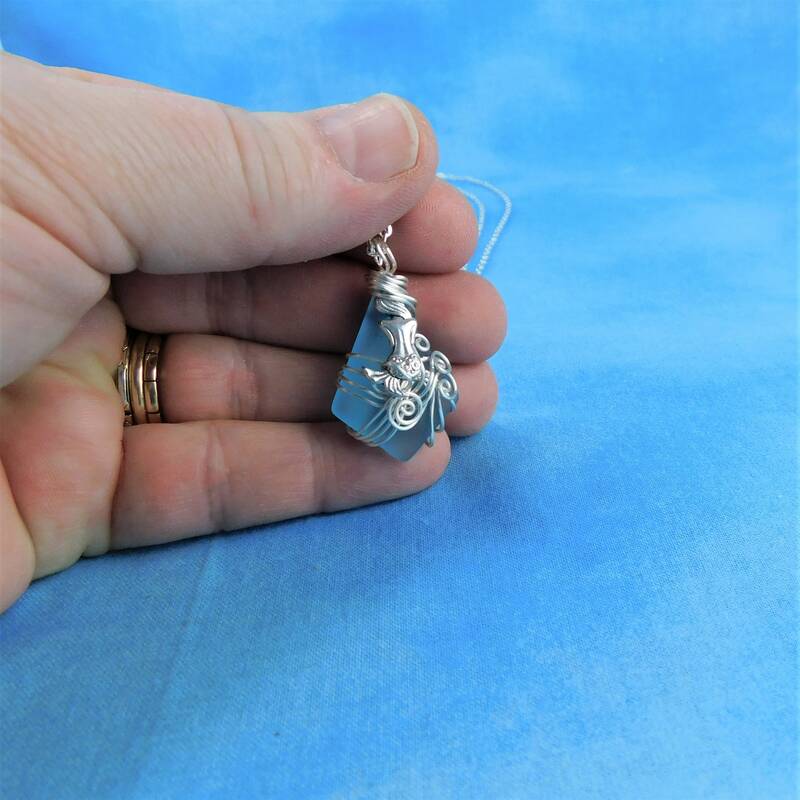 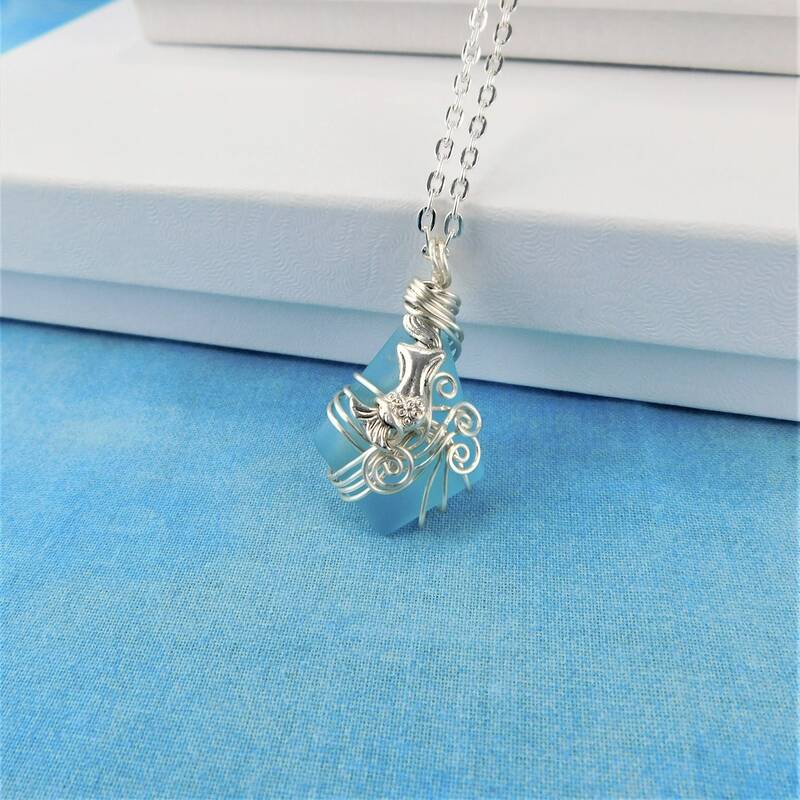 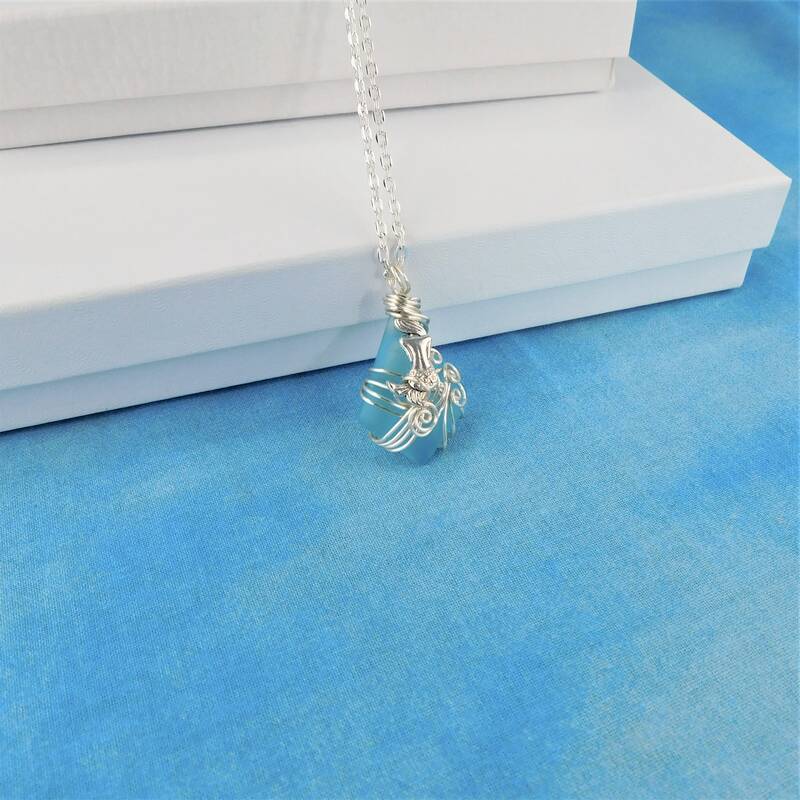 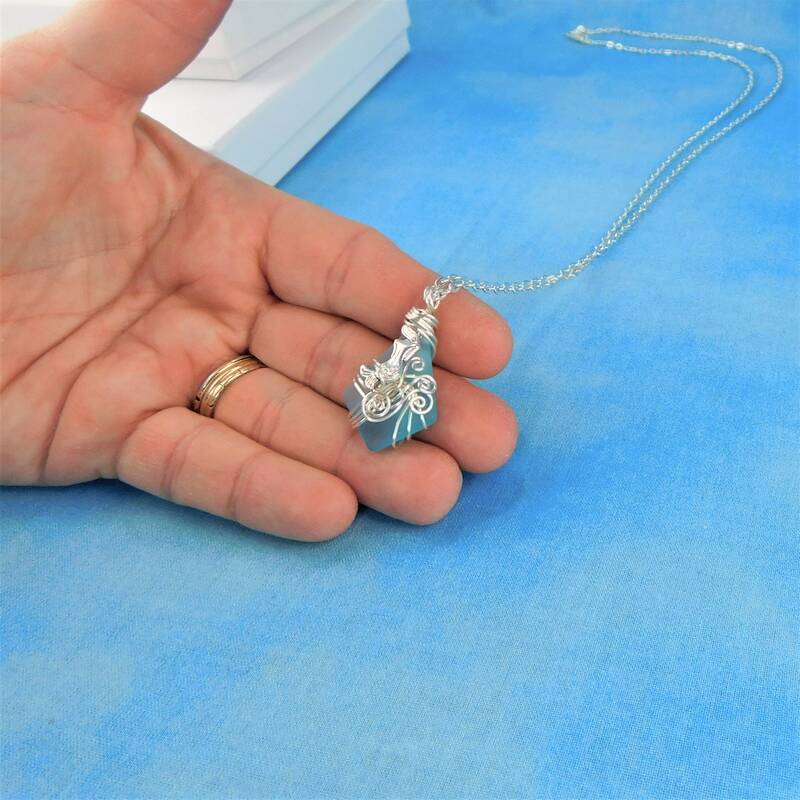 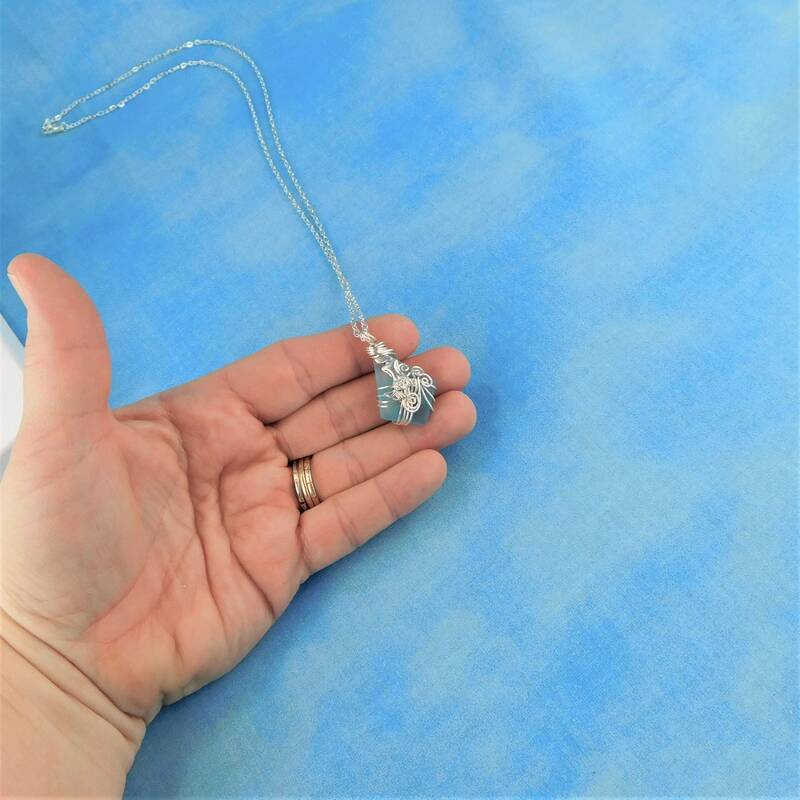 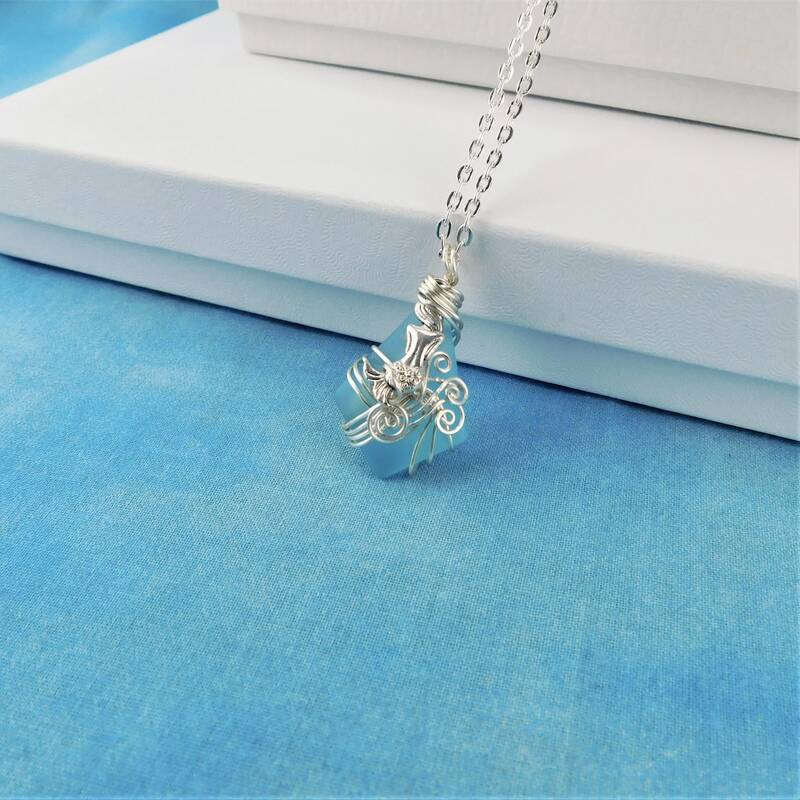 The pendant measures 1 1/4 inches by 3/4 inch and comes with a FREE coordinating chain, measured to your preferred length.